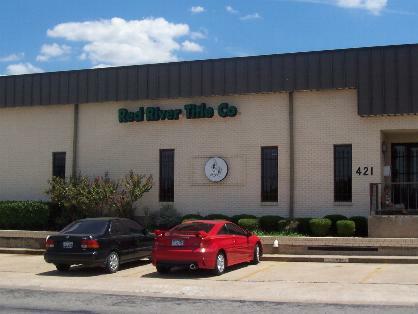 Red River Title Company was established in 2004 in downtown Sherman, TX. We are a locally owned and operated title insurance company with 3 locations to best serve our clients. We offer a full range of residential and commercial title insurance and settlement services. Red River Title stresses a customer-first culture so when buyers or sellers leave our office, they are confident in the process and have a peace of mind that their transaction was professionally handled. Most of our business is driven by repeat customers or referrals, further testament to our dedication to serve & exceed expectations. Doris Caston is the principal and owner of Red River Title, with over 20 years tenure in the title insurance industry. Her wealth of knowledge & depth of experience provides our team & clients with trusted results, grounded in old fashioned ideals, such as a trusted word and honesty. Doris continues to build & develop her staff to the highest professional quality to best represent Red River Title’s principles and commitment to excellence. Red River Title is also licensed in Collin County with an office in the fast-growing community of Anna. We strive to meet our client’s needs for convenience and efficiency in both locations with closers available at each location.